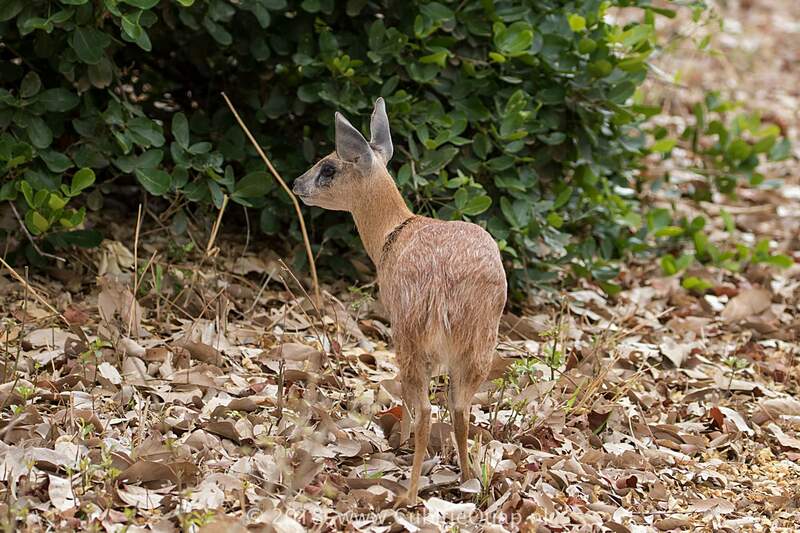 Small, stoutly built antelope with reddish-brown upperparts liberally flecked with white hairs. Incidence of white hairs diminishes down sides and legs. Upperparts are buff-white, and area around mouth and eyes is off-white. Only the ram has the short, sharp, slightly back-angled horns. 'False hoofs' (as the Cape grysbok has above the fetlock) are absent. 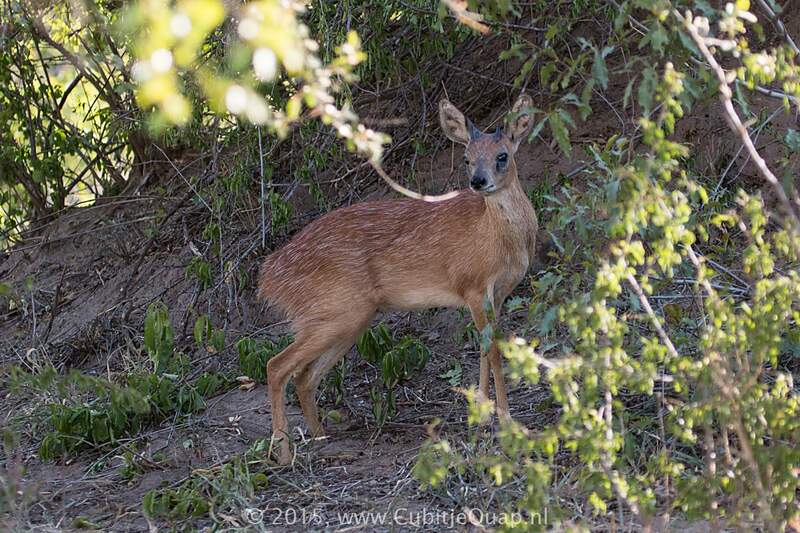 Sharpe's grysbok requires good vegetation cover, preferring low thicket with adjacent open patches of grass. 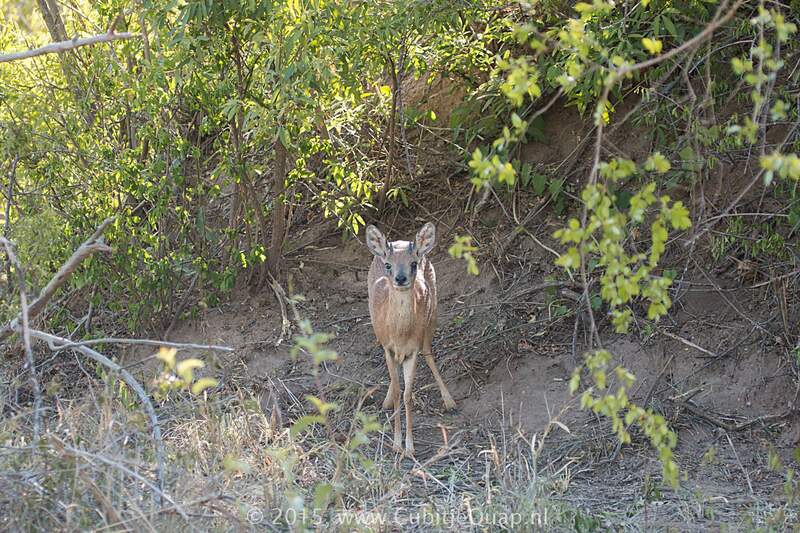 It is also found on vegetated rocky hills and in the scrub at their base. 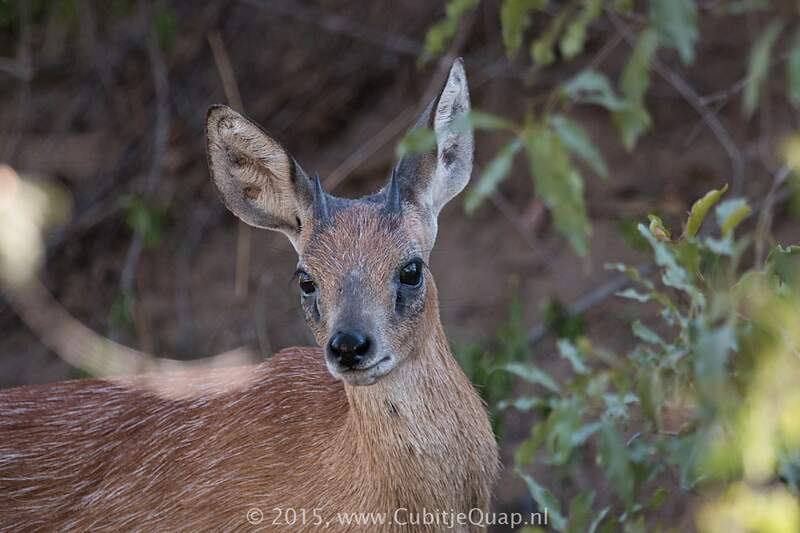 Sharpe's grysbok is almost entirely nocturnal but can be seen in the coolness of early morning and late afternoon. Although usually seen singly it is possible that a pair may live in loose association within a home range. The rams are probably terrotorial. 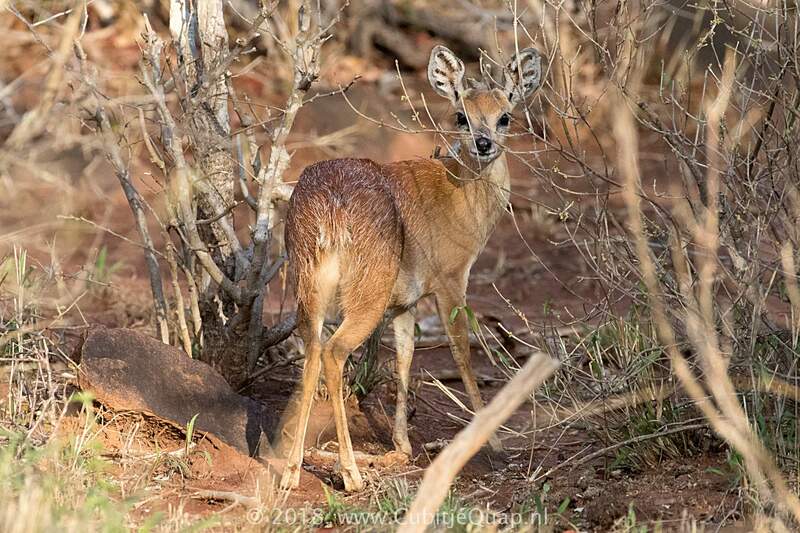 Because of its largely nocturnal activity and secretive nature very little is known about this small antelope. Mostly browse but also grass. It will take fruits, berries and pods.